Mrs. Laure (Rajotte) Lebel, age 79, of Venice, FL, passed away April 11, 2017. She was born on June 30, 1937 in Drummondville, Quebec, the daughter of the late Alcide and Donalda (Parenteau) Rajotte. She married Marcel Lebel on April 18, 1959 in Drummondville. Laure was an avid housekeeper as well as a secretary for the city of Drummondville and Lebel Construction. In her spare time, she enjoyed painting, cake decorating, sewing and selling clothing. 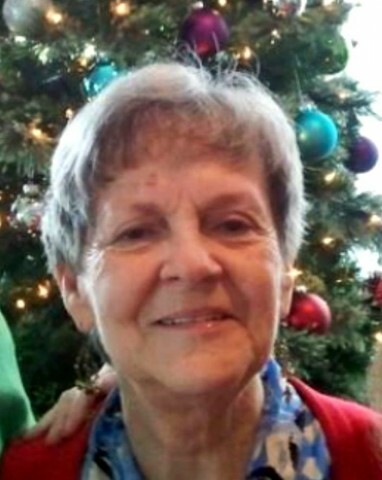 Laure is survived by her children, Marc Lebel and wife Rachel of St. Albans, Richard Lebel and wife Cheryl of Springfield, VA, Stephen Lebel of CO, her brother Rejean Rajotte of Drummondville, QC, 6 grandchildren and 4 great- grandchildren. Besides her parents and husband, Laure was predeceased by several sisters. A Mass of Christian Burial will be celebrated on June 12, 2017 at 10:00 AM in Holy Angels Church. Interment will follow in the Lebel family lot in Mount Calvary Cemetery. As an alternative to flowers, memorials may be made in her memory to the Alzheimer’s Association at 300 Cornerstone Drive, Suite 130, Williston, VT 05495 or the American Cancer Society, 55 Day Lane, Williston, VT 05495. Online condolences may be sent to her family at the Brady & Levesque Funeral Home website: www.bradyandlevesque.com. Arrangements are entrusted to Brady & Levesque Funeral Home and Commemorative Services.